Sony will use its Gaikai cloud service to provide a streamable PS3 library for PS4 and Vita. One of the arguable disappointments of the PlayStation 4 was the revelation that it wouldn't be backwards compatible with software from the PlayStation 3. 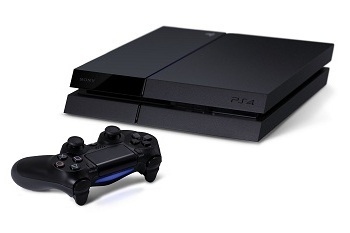 That being the case, Sony has now confirmed that the PS4 won't be leaving the PS3 completely behind. Rather, Sony plans to use Gakai, the cloud gaming service it purchased in 2012, to offer a streaming PS3 library starting in 2014. According to SCE president Shuhei Yoshida, the service, which would reportedly be similar in style to Netflix, will launch with a moderate library of PS3 titles available from the get-go. The list of included games will then be gradually expanded as time goes on. Rather than being restricted to just the PS4, the announced streaming service will also be accessible via the PlayStation Vita and recently announced Vita TV. Yoshida wasn't able to confirm a more specific launch window than 2014 but he was able to say that Europe will gain access to the service following the North American launch. While this is perhaps not the equivalent of backwards compatibility that some would like to see, this could nonetheless be a good compromise. That being the case, there are details currently left out that are arguably pertinent to how sweet a deal the streaming library will really be. Thus far there been no mention of a price tag for the service and, while we'd like to hope it will just be lumped together with Sony's already robust PlayStation Plus offerings, we have a creeping feeling that a separate charge might be necessary to make this worth Sony's while. Hopefully more clarifying details will emerge in the near future.